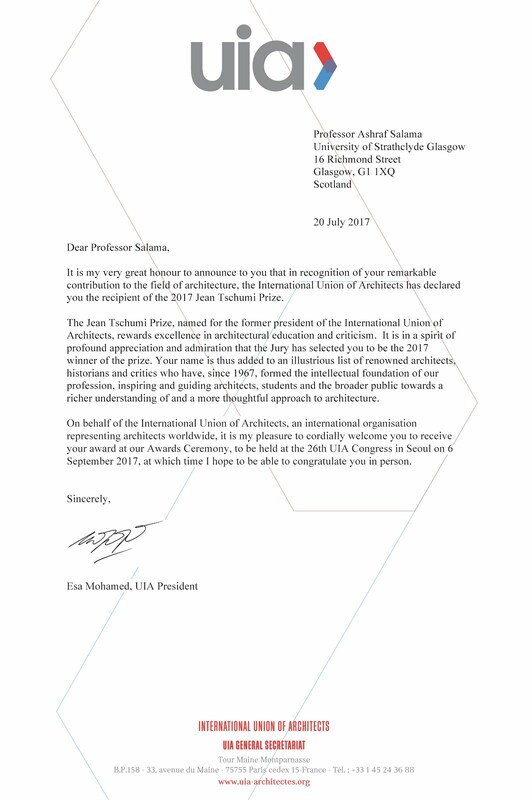 In recognition of his remarkable contribution to the field of architecture, the International Union of Architects UIA has declared Professor Ashraf Salama the recipient of the 2017 Jean Tschumi Prize for excellence in Architectural Education and Criticism. The Jury, composed of UIA Bureau Members, included President Esa Mohamed (Malaysia), Past President Albert Dubler (France), Secretary General Thomas Vonier (USA), Treasurer Fabian Llisterri (Spain), and Vice-Presidents David Falla (UK), Deniz Incedayi (Turkey), Carlos Alvarez (Costa Rica), Yolanda Reyes (Philippines) and Ali Hayder (Sudan). 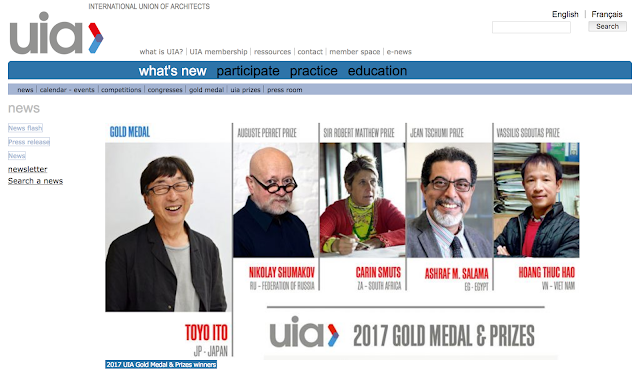 The UIA Bureau has decided upon the winners of the 2017 UIA Gold Medal and Prizes. The jury has attributed the Gold Medal, the highest honour awarded to a living architect by his fellow architects, to leading Japanese architect Toyo Ito. The Auguste Perret Prize for Applied Technology in Architecture will go to Mr. Nikolay Shumakov. The Jean Tschumi Prize for Architectural Education and Criticism was attributed to Professor Ashraf M Salama. The Robert Matthew Prize for the Improvement of the Quality of Human Settlements went to Ms. Carin Smuts. The Vassilis Sgoutas Prize recognizing inventive, implemented architectural solutions for reducing poverty was awarded to Mr. Hoang Thuc Hao. 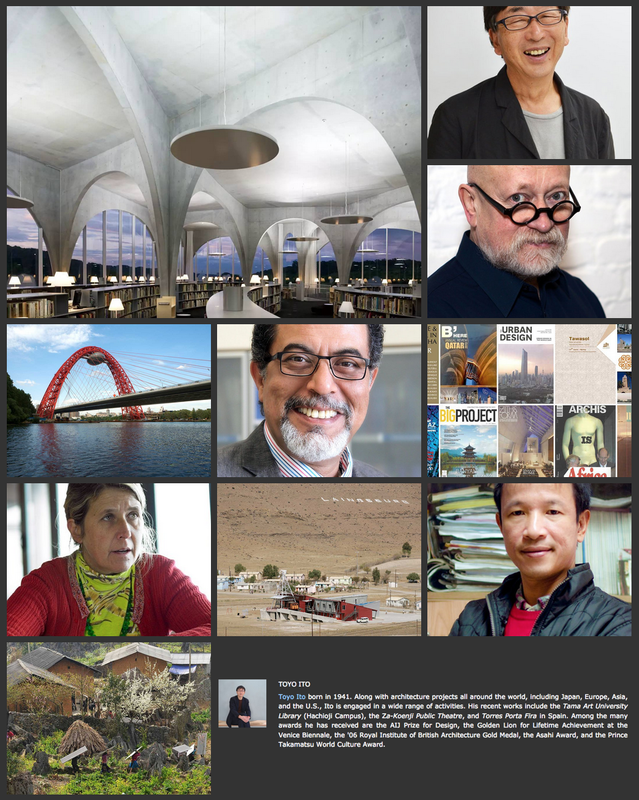 Dedicated to the memory of the first UIA presidents, the UIA Prizes were created in 1961 to recognise professionals whose merits, talents, or actions have made an international impact in a particular aspect of the architectural profession. This year, the Secretariat received 46 nominations. The Jean Tschumi Prize is awarded by the International Union of Architects to individuals for a significant contribution to architectural theory, or architectural education and criticism. 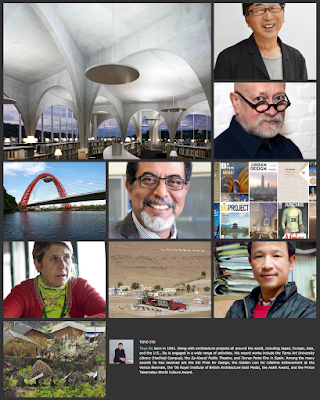 The International Union of Architects (Union internationale des Architectes, or UIA) is an international non-governmental organization that represents over a million architects in 124 countries. The UIA was founded in Lausanne, Switzerland, in 1948, with the General Secretariat located in Paris.